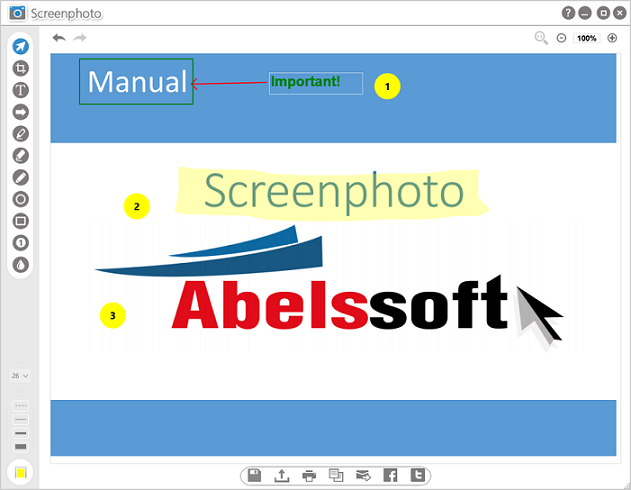 Abelssoft Screenphoto 2018 — creates screenshots with just one mouse click! Screenphoto is one the easiest ways to create screenshots for you. You can use a simple mouse click to create a screenshot or you can simply use the PRINT key of your keyboard. Screenphoto is perfectly integrated into your Windows system. It will add a new button to your application windows — next to the normal close and minimize buttons. Creating a screenshot really couldn't be easier. Whether you only want to capture a single picture, an entire monitor, or even multiple monitors, Screenphoto handles the task with ease. 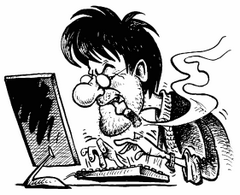 With a single click capture an entire web page, no matter its length, saving yourself the time and labor of tediously scrolling through the page, taking multiple screenshots, and then stitching them together with a separate program. 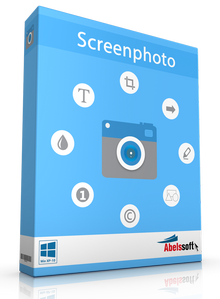 Screenphoto can save your screenshots in various formats including PNG, JPG or even PDF. Screenphoto allows you to share your screenshots with friends. A simple mouse click is enough to upload your screenshot to the web giving you a unique and simple URL that you can send to your friends. Screenphoto allows you to upload your screenshots to facebook and twitter if you wish. Of course you can also print your screenshots and you can copy them to your clipboard for easy reuse. Screenphoto supports all printer models. Screenphoto provides you with a set of easy-to-use tools to edit your screenshots. This includes a text tool to add text information and it also includes tools to crop your screenshots or to highlight important aspects. Screenphoto is for free, but we would be happy to receive a small tip when you are satisfied with it. Doing so you will help us to continuously develop the software and you can put your questions directly to the responsible developer.